They say “Man proposes and God disposes”… I never liked the saying, and realised why after hearing Osho’s take on it. Osho said, why would God dispose off any of your proposal because you ask for such small, cheap things like a better car, a bigger home and a prettier nose :):). Exactly why I didn’t like this saying. Today Prabhu did not dispose off anything that Prabhu proposed. For the first time probably, we have a Railway budget with no new trains being launched, especially connecting the minister’s constituency !! We also don’t have empty promises of additional kilometers of rail track, yet another staple fare on offer. 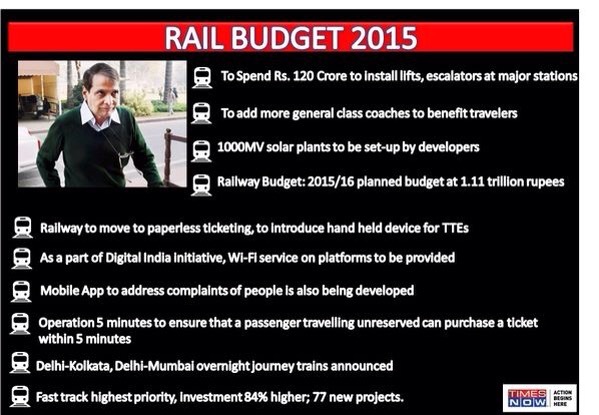 The Railway budget is a no-nonsense budget, like the Railway minister. 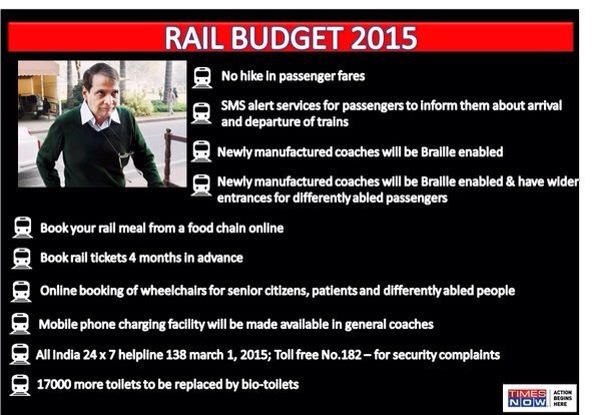 I like Suresh Prabhu, because he doesn’t waste any time. The wiry man seems in a hurry always and maybe that’s why he was hand picked by the PM. He said at CII today that if announcements meant execution then he would have made several announcements. Smart man. The changes that excite me the most are – paperless ticketing, 17000 vacuum toilets, disposable linen and pre-ordering a meal … Dreaming of Haldirams on a train journey soon :):):):). May the romance of rail travel return soon. Jai Hind.